Richard Fumerton is F. Wendell Miller Professor of Philosophy at the University of Iowa.His publications include Metaphysical and Epistemological Problems of Perception (1985), Reason and Morality: A Defense of the Egocentric Perspective (1990), Metaepistemology and Skepticism (1995), and Realism and the Correspondence Theory of Truth (2002). 2. The Analysis of Knowledge. 3. 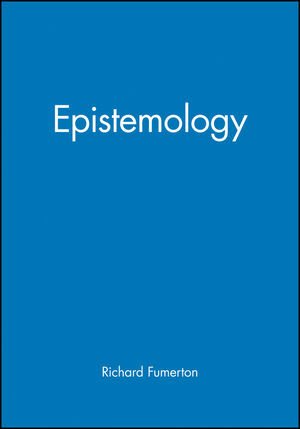 Epistemic Rationality and its Structure. 5. Externalist Versions of Foundationalism.